Powered by award-winning Adobe Connect™, we are a trusted provider for Canadian & US businesses, government teams and non-profits. 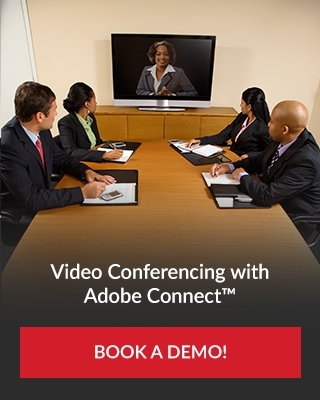 Get a FREE, NO-OBLIGATION DEMO and understand just how our Vesta Networks Web Conferencing solution powered by Adobe Connect can help. We guarantee once you try Vesta Networks, you'll be hooked. Why Choose Vesta Networks Over The competition? The best tools in this industry tailored, supported and customized for the way your organization operates. No extra technology needed. If you can use a phone, you can start a conference right now. Get somebody on the phone for a change. We've got your back with live local support. Reduce your travel costs and connect your team around the world affordably. Special billing requests? We'll customize a solution that your accountant will love. Thousands of businesses trust Vesta with their business conferencing needs. Connect anywhere in the world at any time that is convenient for you. We are always on. "Vesta consistently provides smooth, clear web conferencing services that allow us to communicate effectively with our decentralized leadership team, and work collaboratively across our 3 healthcare divisions." Let our team show you just how powerful web conferencing can be with a free demo! Complete the form below to get started. Rather Speak To Someone First? Contact a member of the Vesta Networks team by phone. When will I get my demo? We'll contact you within 30 minutes of receiving your request to arrange an online demo session. If you like, you can get started by calling us or requesting an estimate. Live assistance by our trained Canadian support team. Toll-free international calls from 60+ countries. The ability to save an infinite number of meeting rooms and their content — exactly as you left them. Support for meetings of up to 100 users. Screensharing, whiteboarding, document sharing and chat. Top notch educational webinar tools. Why Adobe Connect over Citrix or WebEx? Simply Put – It's The Best & Our Clients Deserver The Best. Award winning Adobe Connect is easily the fastest, most dynamic and most comprehensive web conferencing platform on the market. Third party reviews rate Adobe Connect as the best web conferencing available, higher than competitors WebEx and Citrix. Vesta Networks provides you with an Adobe Connect solution tailored to your needs. It gives your staff the power to collaborate easily and effectively from anywhere in the world, just as they would in a face-to-face meeting, but with more customized content at their fingertips.